The reappointments of two Lincoln County representatives to the Interlocal Solid Waste Authority, which was established in 1991 to accommodate disposal of solid waste from several area counties and their municipalities, gave rise to contention in last week’s meeting of the Lincoln County Commission. On the agenda of Tuesday’s session was the reappointment of A.J. Williams and the appointment of Wayne Simms, the latter of whom would replace Lincoln County Commissioner Doug Cunningham on ISWA’s board, according to the nominations put forth by County Mayor Bill Newman. Both appointments would be for six-year terms, Newman said. Cunningham argued, however, that neither Williams’ term nor his own have expired and, therefore, aren’t due for filling – that was the first point of contention or disagreement. The second came as Newman said he would not put Cunningham’s name forward for reappointment. Saying that the two terms should be staggered, Cunningham went on to explain how he felt the errors likely occurred and said the authority’s February minutes reflect how its members feel the terms should be — Williams’ term wouldn’t expire until July of 2020 and Cunningham’s wouldn’t expire until January of 2021, he said. If someone was late being appointed or reappointed, instead of the term’s effective date extending back to when the appointment should have been made, it was given an effective date of the appointment, he said. In another instance, a member from Franklin County passed away, and instead of filling the remainder of the unexpired term, the new board member was appointed to a new a six-year term. Other situations augmented matters, he continued, citing the addition of Moore and Bedford counties in 2011 to ISWA and the departure of Giles County in 2015. Moves such as those impacted the board’s makeup, he said. A regional planning board, which serves as a companion board to ISWA, should also be taken into consideration, he said, explaining that he also serves on it, filling a state recommendation that elected officials be among its members. “Obviously, I disagree with Commissioner Cunningham,” responded Newman, temporarily vacating his seat as commission chairman to address the body. “If you go back and review the county records, all the way back to January of 2007, Commissioner Cunningham and A.J. Williams were appointed in that January meeting to six-year terms that would expire January of 2013. The county mayor said he had the appointments on the agenda of that January meeting earlier this year, but given that Cunningham did not agree that the terms were up, he had pulled them to look at the issue more closely. He also noted that Cunningham’s seat on the regional planning board is not currently due. “Those terms have never coincided with ours, as far as what the commission has voted, and some other commission cannot change what we vote on,” he said. Newman went on to raise two concerns, first noting that the County Commission took action in 2012-13 to change their method of compensation. Instead of being paid for committee meetings, commissioners began being paid based on a percentage, approximately four percent, of the mayor’s salary. Saying he had experienced difficulty in obtaining information about ISWA’s compensation to members and dates, Newman questioned the authority’s transparency and added that his office carries out duties that should be the responsibility of the ISWA. Commissioners voted to suspend a rule that would prevent Newman from resuming his seat as commission chair until the matter at hand was resolved, and with that, Cunningham took the floor to respond. “The terms did get messed up, and it occurred prior to 2006,” Cunningham said, adding that it was during another official’s term in the 1990’s. “It’s not an unusual thing, because it’s happened with several other counties as well. The real problem came with the changes to the ISWA with new members coming on and old members leaving. 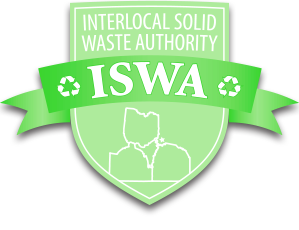 “As far as the ISWA not being transparent, we provide minutes every single month,” he said. “Over the years since I’ve been on there, if anybody had any questions, I was more than happy to respond. I’ve come to commission meetings and spoken to you when we’ve had items that were contentious or when we had items that needed attention. I resent the fact that he indicated the ISWA is not transparent and is hiding something – I’ve got a real problem with that. “Yes, it is a paying board,” he continued. “This is a very hardworking board. We run two transfer stations, one in Estill Springs and one in Fayetteville, and I’m talking about the day-to-day operations ... To be honest with you, I’m not really sure why I’m attempting to hang on to this position, but I just want to make sure that Lincoln County maintains its leadership within the ISWA, because it was Lincoln County that got this started. Commissioner Ricky Bryant asked County Attorney Ed Simms for his guidance in the matter of terms. Simms said that while he has looked at the situation extensively, it would take someone going back to each the participating entities and evaluating their records – “I don’t have a recommendation right now as to who’s right and who’s wrong,” he said. Commissioners voted to table the appointments ultimately, enabling them to lay the matter to the side to take up other business. It will require an approved motion from a commissioner at a future meeting to take it from the table.